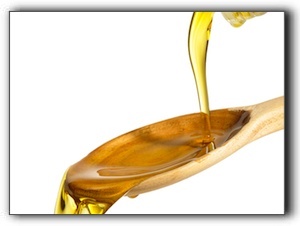 Home » Blog » What Is Oil Pulling? Today’s David C. Montz DDS, PA & Associates – Family, Cosmetic and Implant Dentistry dental post looks at oil pulling; an alternative practice that has been generating a lot of buzz around Pearland. Oil pulling has been a part of Indian Ayurvedic medicine for thousands of years. It is the practice of swishing oil in the mouth for twenty minutes to benefit the teeth, gums and overall health and well-being. The oils most commonly used are coconut oil, sesame oil, and sunflower oil. David C. Montz DDS, PA & Associates – Family, Cosmetic and Implant Dentistry cautions patients not to replace brushing, flossing, and regular dental cleanings/exams with oil pulling. At David C. Montz DDS, PA & Associates – Family, Cosmetic and Implant Dentistry, we provide top-quality dental care for every member of your family. We serve all of your preventative, restorative, and cosmetic dental needs including sedation dentistry, CEREC dental crowns, porcelain veneers, teeth whitening, and family dentistry. Our comfortable, state-of-the-art office is located at 2443 S Galveston Ave.
What Does Your Houston Dentist Need To Know?